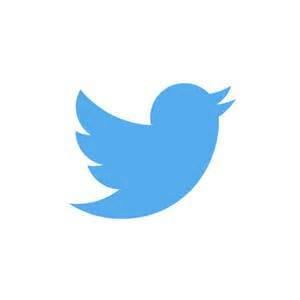 Twitter has become an important component of business today. Retailers, small business owners and corporations should all be utilizing Twitter to connect with their publics. However, simply having a Twitter account is not enough. The account must be both active and interactive. To maintain an active Twitter account, businesses need to be posting their own content a few times a day. This may be information about new products, promotions or other announcements. The type of content specifically will vary based on business size and type. Mom-and-pop shops may post about employees’ birthdays, while mega-corporations may announce a merger or acquisition. Content should be original and meaningful, consumers will not follow a business account that is simply spewing off nonsense to fill the void. Beyond keeping an active Twitter account is maintaining an interactive Twitter account. Consumers today want to interact with brands instantaneously. Interactions for businesses may come in the form of re-tweets, mentions or replies to tweets directed towards the business account. Responding to consumers when they reach out to a company helps the consumer to feel heard and gains trust. Trust is vital in maintaining strong relationships between a brand and its publics. Hashtags on Twitter are a great way for businesses to be both active and interactive as well. Within their own content, brands may create new hashtags unique to their products or services. With repetition, these hashtags can grow to be recognizable slogans or associations. When interacting with other companies and audiences, business Twitter accounts can reuse already trending hashtags or jump in on a conversation already happening within the Twitter-sphere. As consumers increasingly seek to humanize businesses, social media – especially Twitter – have become a platform brands can maximize to engage their audience and build rapport. This entry was posted in SocialMedia by Cait Chapman. Bookmark the permalink.